China has announced that its massive nomads relocation plans, started in 2006, is coming to completion. The plan threatens nomadic culture as well as the local environment. China says it has completed its massive relocation project of Tibetan nomads into new settlements in the Tibetan Autonomous Region. 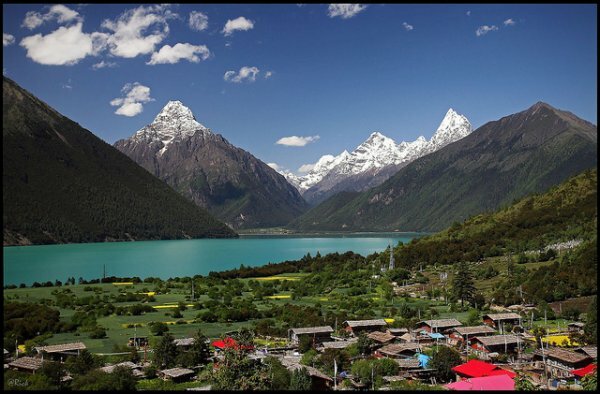 The controversial project has been denounced, though, by Tibetans living in exile and by Chinese environmental activists. Since 2006, China has been moving nomads into crowded new settlements in various places, including the Tibetan Autonomous Region [TAR] and Qinghai Province. China's official Tibet TV website announced this week that 2.3 million people in the TAR have been moved into new houses. According to Qinghai province's five-year plan, 90 percent of the nomads living in that area are due to be relocated by the end of this year. China is now encouraging nomadic herders to join livestock "cooperatives." An editorial in the state-run Qinghai Online News this month said, “Local nomads [have begun] enjoying a new modern life in their crystal-clean new homes while all of their livestock are raised in the endless grassland under a cooperative style [system]." China has said moving nomads into permanent homes provides them with a better life and could help the fragile environment of Tibetan Plateau. Critics say the program ignores environmental realities, however, and is really a way for authorities to control the livestock and land that belonged to the nomads. Chinese environmental activist and journalist Wang Yongchen, who has been researching environmental changes on the Tibetan Plateau, said she has found that nomadic culture has sustained the area's environment. She added that only major environmental issues, such as air pollution in China's cities, have prompted environmental scientists to examine the Tibetan nomads' culture. Wang said her group, Green Earth Volunteers, is raising its concerns with government officials in Beijing, as well as its belief that Tibetan nomads' traditional lifestyle helps preserve the environment. Mogru Tenpa, a member of Tibetan parliament in exile who grew up in Qinghai Province, told VOA the state takes control of nomads' land once they join a cooperative.